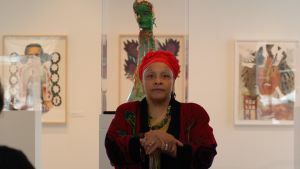 To schedule a group tour, please call 410-626-2556, or email the Mitchell Gallery Art Educator at lucinda.edinberg(at)sjc.edu. 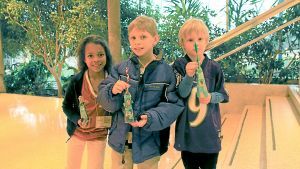 Teachers and group leaders of pre-school to high-school age students are invited to schedule a guided tour with hands-on activity during each exhibition. Education staff and docents are also available for classroom presentations to prepare students for their visit to the Mitchell Gallery. Chaperones are required for all school groups visiting the Mitchell Gallery. 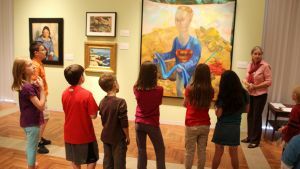 We require a minimum of one adult chaperone for every eight students to ensure the safety of the students and protection of the art on view. In conjunction with the public opening of each exhibition, families are invited to enjoy a guided tour designed for children ages five and older. Each tour is followed by an interactive hands-on activity related to the exhibit on view. No reservation is necessary. 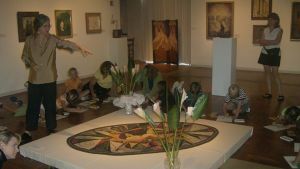 The Mitchell Gallery welcomes and encourages college classes and adult groups to visit the gallery for private tours. 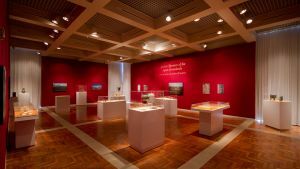 The Mitchell Gallery offers gallery talks, lectures, seminars, and workshops in connection with exhibitions. Dates are included in the calendars. 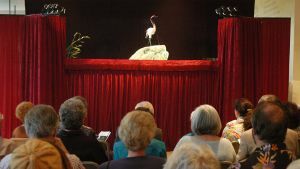 These programs are open to the public and most are free of charge. Registration requirements are noted in the calendars. Lunch-hour tours and discussions are scheduled for each exhibition and are noted in the calendars. Bring your own brown-bag. Juice and soda provided. 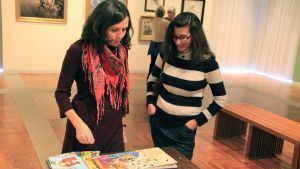 Members of the St. John’s College community lead discussions on books that complement each exhibit. Dates are noted in the calendars. Docents are available every Thursday for tours on the half-hour from noon until 3 p.m. No registration is necessary. 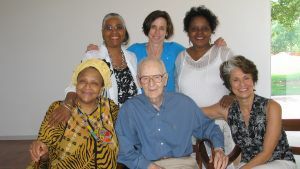 Docents are also available at other times by special arrangement. Please call 410-626-2556. All scheduled groups should arrive at least 10 minutes before the scheduled program. If a tour must be cancelled, please call 410-626-2556 promptly. The Mitchell Gallery follows St. John’s College’s policy during severe weather. Cancellations will be posted on The Mitchell Gallery Facebook page. Group tours may be dropped off outside the Francis Scott Key Auditorium as prearranged with the Mitchell Gallery Art Educator. Click for detailed parking information. Entrance to the Mitchell Gallery and restrooms are barrier-free. Please contact the Gallery if other assistance is required at 410-626-2556. Docent tours: Thursdays from noon to 3 p.m. Free, no registration required. Read Mitchell Gallery student guard Will Harrington's (A20) blog, where he reminisces about the artwork on display at the gallery.